Mira HPro is an Enterprise Hospital Management System (EHMS). It is a web application and can run across multiple platforms. 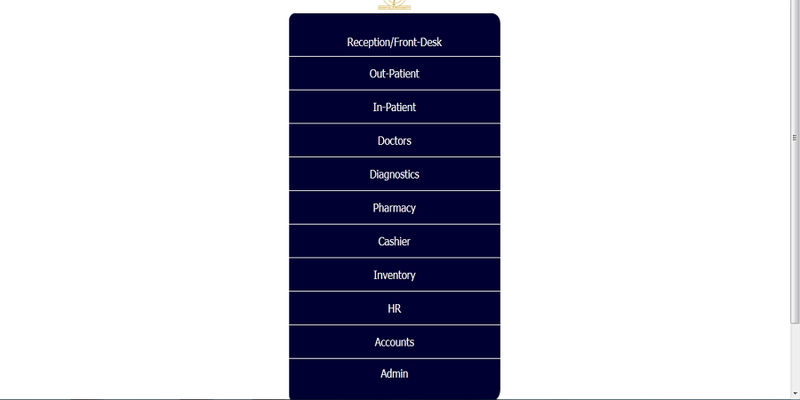 The System is designed to provide the best user experience and also provide the hospital with the capability to manage out-patients, in-patients, diagnostics, process inventory, accounts, consultation, dispense drugs and manage personnel. With the assistance of Mira HPro, hospitals, clinics, laboratories and other medical institutions can digitally access and process centrally integrated patient data. It can be deployed to manage multiple locations(branch networks). Mira HPro can be deployed both on a local intranet and online on the cloud(internet implementation). Users: this handles users. Creating, managing and allocating user roles. 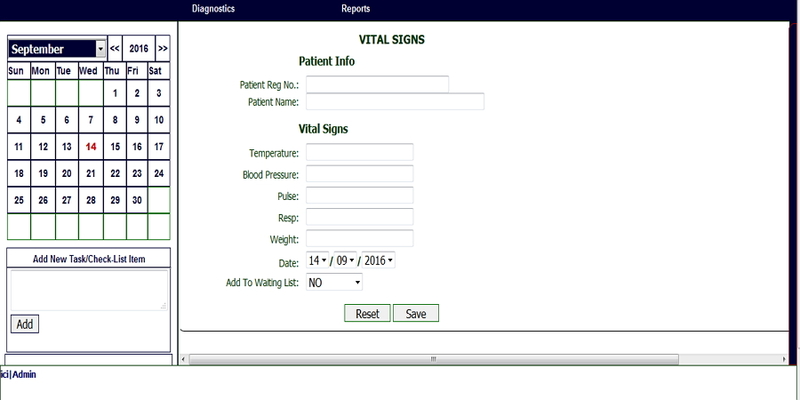 Patients: this module is for the interfaces, processes and data for the patients. It will take into consideration all the classifications that apply to patients in this hospital. It will also provide interaction between other modules to provide treatments, test, drug application and other implementations that apply to the patients. 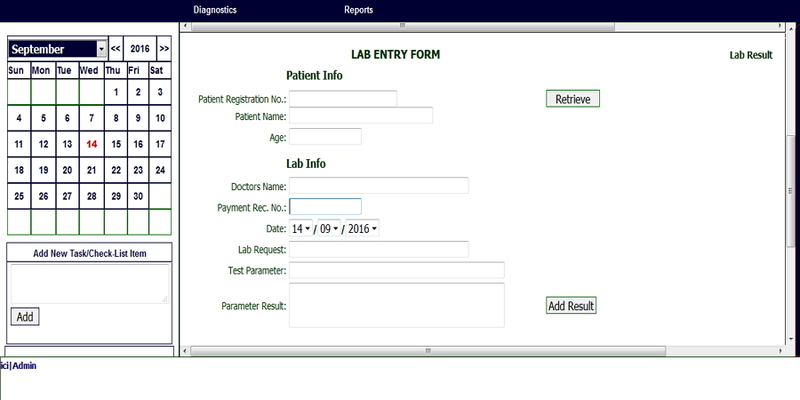 Labs: this contains interfaces, processes and data for lab analysis for patients. The module also provide interfaces for interaction with other departments in the hospital. X-Ray: this contains interfaces, processes and data for patients’ x-ray. The module also provide interfaces for interaction with other departments in the hospital. 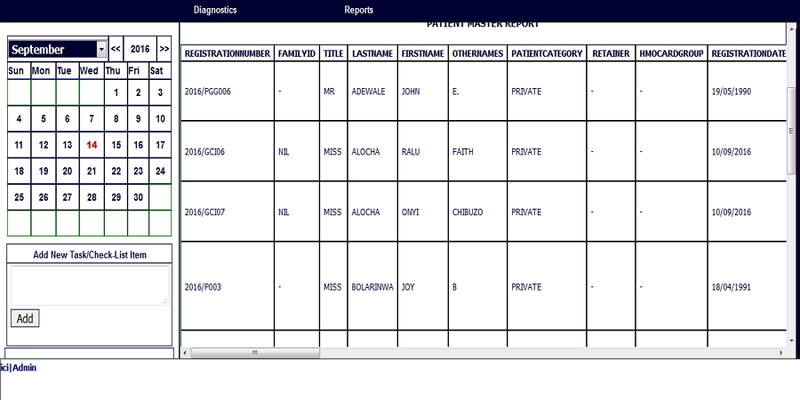 Scan: this contains interfaces, processes and data for patients’ scan. The module also provide interfaces for interaction with other departments in the hospital. Diagnosis: this contains interfaces, processes and data for the patient’s sessions with doctors. Injections: this contains interfaces, processes and data for the injections applied to patients in the injection room. The module also provide interfaces for interaction with other departments in the hospital. Pharmacy: this module contains interfaces, processes and data for the pharmacy. This module will provide interactions with other departments on drug availability, costs of drugs, expirations, etc. Store: this contains interfaces, processes and data for items (including drugs) and equipment in the hospital. It will provide information on their locations, availability and other status information. Billing: this module handles the billing. It will contain processes to access and verify patient classifications (private, corporate and HMO tariffs) and bill appropriately. It will also provide capabilities to transform and transmit patient bills via emails. Personnel: this module contains interfaces, processes and data for personnel management. It contains process to manage recruitments, allowances, deductions, leaves, queries, warnings, suspensions and terminations. Payroll: this contains interfaces, processes and data for payroll calculations and payslip generation. Procurement and Expenses: this contains interfaces, processes and data for purchases, expenses and payments. Receipts: this contains interfaces, processes and data for receipts in all forms (cash, transfer and cheques). Accounting: this is for the hospital’s financial reports. This module provides periodic views for expenses, income, profits, assets, and other financial reports.